It’s hard to beat a wonderfully-scented candle. For one thing, there’s something undeniably romantic about how the gentle glow can make even Quasimodo look like Cara Delevigne. Fire-safety aside, we all know that beauty brands would sell a truckload more product if beauty halls became wick-powered, but as flourescent lighting proves, there are times when candles just aren’t the most convenient option. Before you reach for the plug-ins, consider another option. 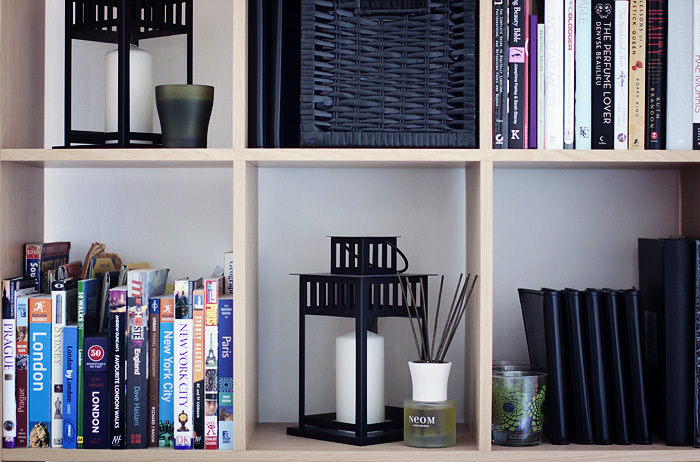 The humble reed diffuser. Brands do try and make these diffusers look elegant but the reality is that a reed diffuser is basically a pot of scented oil with a bunch of twigs sticking out of it. Whilst candles can rightfully get all superior about what a great table centrepiece they make, diffusers are better off putting in their hard work from the sidelines. My reed diffuser has been doing the rounds since I unpackaged it last week. A couple of days in the bathroom where it’s far too bloody pretentious to actually light a candle, hidden behind my Mother’s chair when she came over for her Mother’s Day dinner last week (“what’s that lovely smell Charlotte?” / “Oh my flat always smells like this!”), and propped up on the windowsill in the kitchen when I burnt some popcorn. And if you’ve ever burnt popcorn, you know you need a massive scent-intervention. If you have pets in the house, small children, or clumsy partners… reed diffusers make a great alternative to the mighty candle. 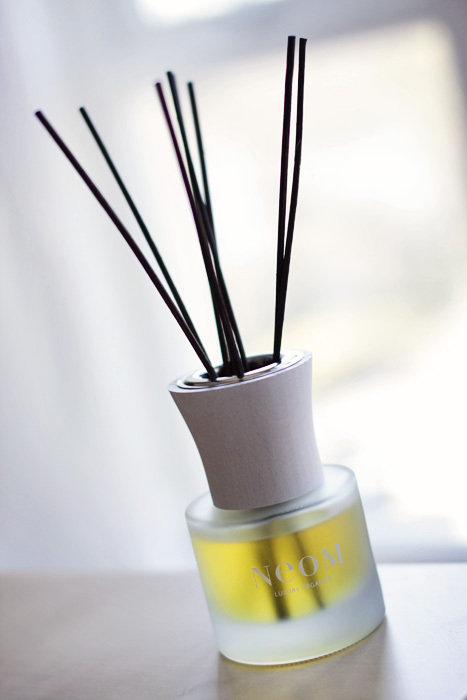 The NEOM Organic Reed Diffuser is discreet too, I’ve seen some that are around 3ft tall and higher… no-one needs that much scented-twig in the house. Despite its small-size, this one delivers enough fragrance to scent a small room easily. Bathrooms and hallways are blissfully filled with the perfume and I’d say that it delivers strong fragrance to just over half of my (average-sized) sitting-room. Remember also, that the scent is continuous, you can control the strength of the scent simply by adding or reducing the amount of reed sticks in the aroma diffuser. I no longer have to scramble around for a lighter to light a candle after I’ve buzzed a guest in through the intercom! 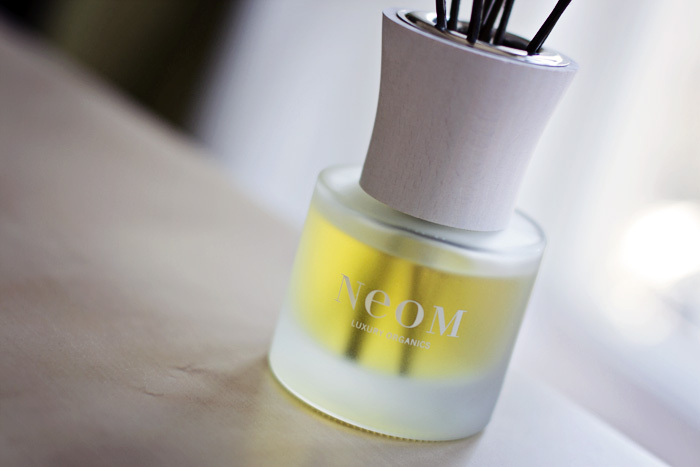 As for longevity, well NEOM rates their reed diffusers to last for up to 5 weeks, so you’ll be pleased to hear that you can buy fragrance oil refills for £18.00 each, as opposed to forking out the original price tag for the bottle, fragrance and sticks again. I’ve become very fond of reed diffusers. I’m kind of scared of candles (I know – wussie!) I always fear I’m going to forget to put it out and burn the house down. (Can you say ‘paranoid daftie-head’? Ah, that’s me.) But I was given one of the L’Occitaine ones for Xmas one year and it started me off. I love ’em. And the scents available now are properly nice, like candles, not like air fresheners.